A city that has been called ‘The cradle of civilisation’, Athens is not only the capital, but the largest city of Greece. Full of history, with a lively restaurant and bar scene, this is one of the most visited places on earth; but how well do you really know this city? 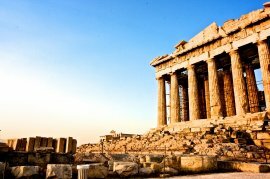 Take a look at some of these truly fascinating facts about Athens to get all geeky about Greece. Greece is the world’s third largest producer of olives which were a hugely important part of the Grecian diet. 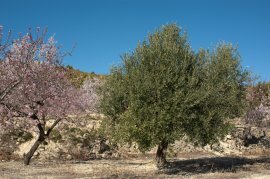 These sacred trees have been growing in Athens for thousands of years, and some of the trees planted in the 1200s still produce olives to this day. Athens’ history dates back to 3000BC, making it one of the oldest cities in the world and Europe’s oldest capital. Athens has been continuously inhabited for those 3, 000 years and is still the most densely populated city in Greece today. The Parthenon temple dominates the skyline of Athens, but despite being such a sacred historical building, it hasn’t had an easy past. During the 2, 500 years it has overlooked the city; the temple has been used as a munitions store, converted into a mosque, looted by Lord Elgin, served as army barracks and been bombarded with canons by the Venetians. According to Greek mythology, Athena and Poseidon competed for the honour of being the patron of the capital city, each offering a gift to gain favour with the people. The olive tree (given by Athena) was deemed more valuable than the water provided by Poseidon, so the city was named after her. 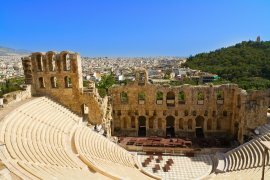 Many historical scholars believe that theatres originated in Athens. The unique semi-circular shape of seats you see in many theatres today is based on ancient Greek theatres. Even the word ‘theatre’ is Greek in origin. Famous as a philosopher, scholar and mathematician, Plato was Athens’ most influential teacher. Plato was also responsible for creating the Academy, the first institute of higher learning in the Western world, making Athens the home of the first university. From storing guns in the Parthenon to the site of the first university, Athens is a fascinating place to discover. 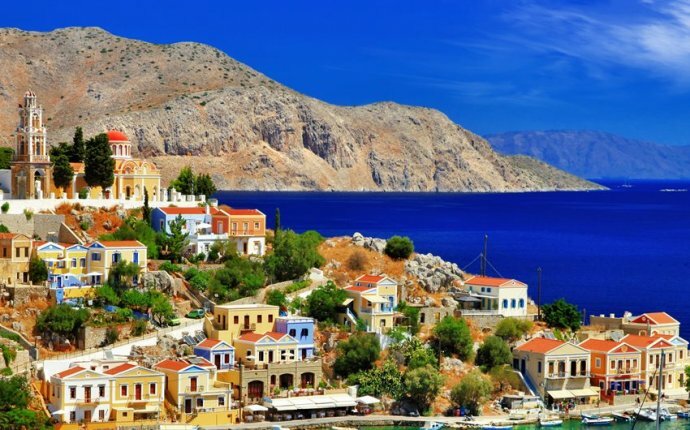 Do you know any interesting factoids about Athens? Share your insightful thoughts by commenting below!